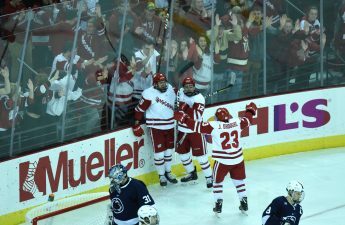 The University of Wisconsin men’s hockey team (9-11-4, 5-5-4 Big Ten) split their two-game series against the University of Minnesota (10-11-4, 7-6-3) this weekend in Minneapolis. Both contests came down to the wire and each was decided by third-period goals, with Minnesota taking the first game and Wisconsin taking the second. Friday’s game began with a rocky start for Wisconsin, as Minnesota jumped out to a 3–0 lead thanks in large part to their success on power plays. The Badgers have struggled on both sides of power plays all season, scoring on just under 20 percent of their power play opportunities and allowing power-play goals at a 29 percent clip. Their one penalty kill in four chances Friday gave them a steep mountain to climb in order to get back into the game. Despite the early hole, the Badgers battled back and found themselves down 5–4 with five minutes remaining in the third period. Multi-point efforts from defensemen K’Andre Miller and forwards Jack Gorniak and Seamus Malone helped guide the team back into game contention. After the clock hit 5:00 remaining the game, however, the Golden Gophers dominated, scoring four unanswered goals to pull away with a 9–4 victory despite the Badgers outshooting the Gophers 46-28. Head Coach Tony Granato addressed his team’s late meltdown postgame. Saturday’s affair followed a similar storyline to Friday’s, though it saw a far cleaner effort from the Badgers. 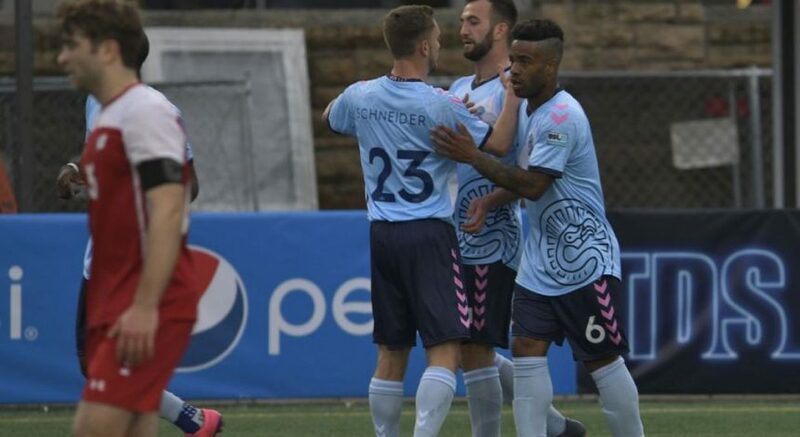 This time, the late goal came from Wisconsin captain Peter Tischke to give Wisconsin a 4–3 advantage, which wound up being the game’s final score. Despite the Badgers committing seven penalties versus the Gophers’ three, UW held strong on penalty kills and was able to end their five-game winless streak. Notable Badger efforts included multi-point performances from sophomore forward Linus Weissbach and freshmen forward Dominick Mersch, the game-winning goal from Tischke and a 29-save, seven penalty-kill effort from freshmen goalie Daniel Lebedeff. Granato praised his team’s ability to bounce back after Friday’s loss. The Badgers now find themselves tied for fifth in the Big Ten — one point behind Michigan and four points behind now third place Minnesota. With ten Big Ten games left on the Badgers’ schedule, the opportunity to rise as the season approaches its conclusion awaits them. Wisconsin will travel to East Lansing, Michigan next weekend to take on the Michigan State Spartans in a two-game series. Puck drops are scheduled for Friday at 6 p.m. CST and at 4:30 p.m. CST Saturday.